Advent calendars these days are so much cooler than they were when we were kids, and the PLAYMOBIL advent calendar range is a perfect example of this. 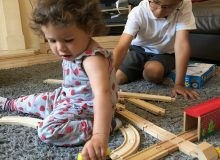 We were sent the Fire Rescue Operation calendar to try out, and we’ve previously try a couple of others too – they always go down well! 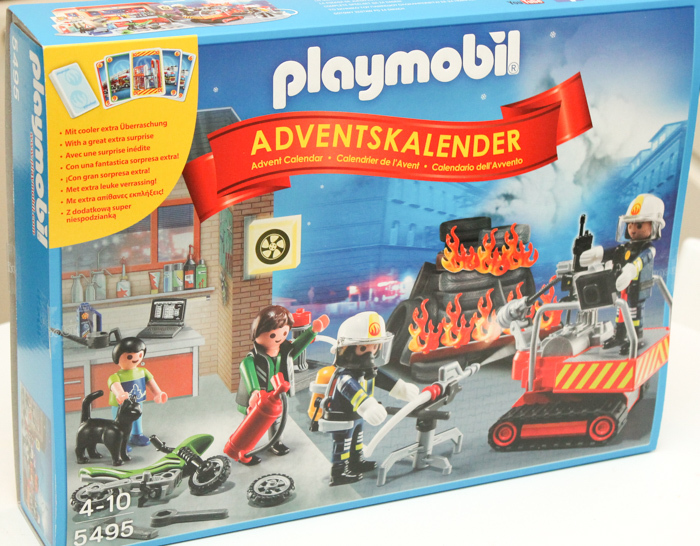 It’s great how the pieces from the advent calendar come together to make a complete set that can be played with all year round, and with the PLAYMOBIL calendars you can choose whichever theme your child would most like, from fire rescue ones, to fairy ones, or more Christmassy ones if you prefer. 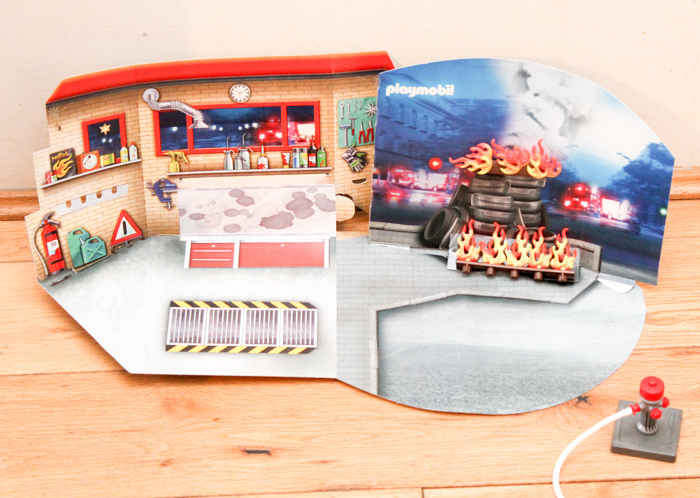 The PLAYMOBIL fire rescue operation advent calendar comes with 4 PLAYMOBIL figures, a motor bike, a fire fighting vehicle and loads of accessories. Some of the doors have bigger items, like the figures or vehicles and the others have smaller accessories that you can add on to your figures from previous days to help build them up and make a full fire fighting scene. In the calendar packaging you also get a cardboard backdrop that you can use to display your scene, and this is handy for keeping everything in one place as you open more of the doors day by day. You can push the fire pieces into wholes in the backdrop to make a more effective scene. 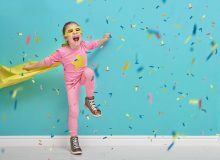 Once the whole advent calendar is opened, there’s plenty to play with lots of versatile pieces that are great to add to your PLAYMOBIL collection. 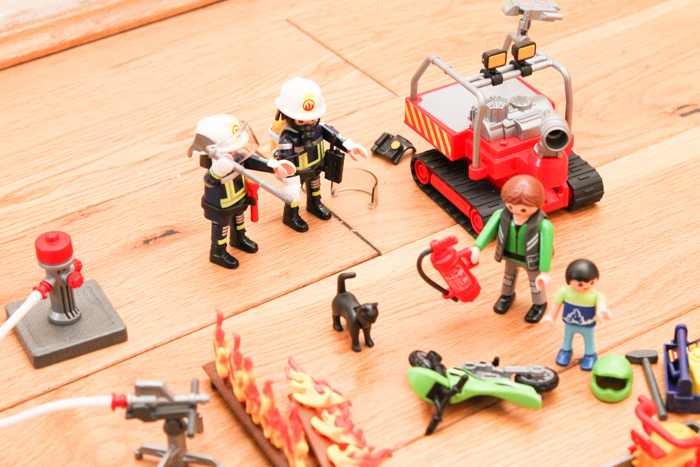 Our favourite bits in the calendar are the fire fighter figures and the little boy with his bike. The figures are quite evenly spread throughout the calendar, in a way that makes logical sense. So you will get one fire fighter, and then in the coming days you’ll collect a helmet for him, fire fighting tools and so on, and once he is fully equipped you’ll come to a door with a new figure. You also get a PLAYMOBIL themed matching pairs card game behind one of the doors in this advent calendar. 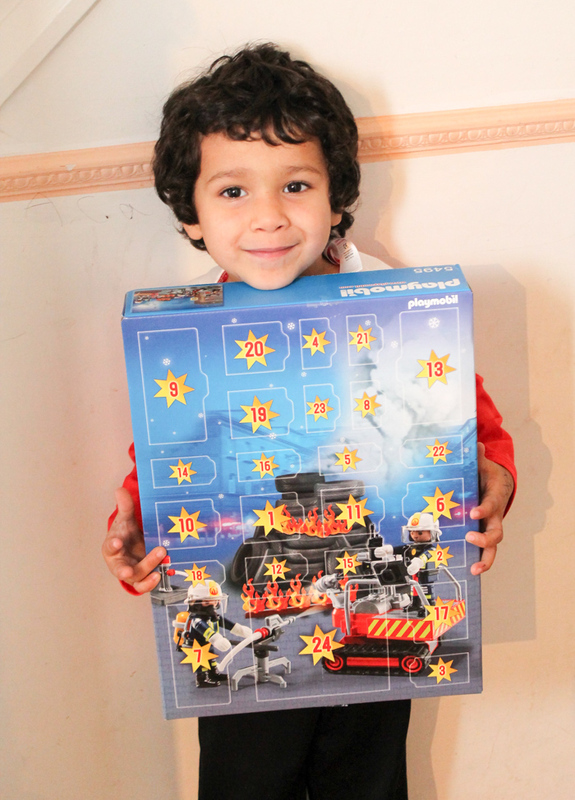 PLAYMOBIL advent calendars are great fun, and give much more long lasting value than a plain chocolate advent calendar as the pieces can be enjoyed long after December has been and gone. Woah. Advent calendars have changed a lot in the last couple of years.